This is another great decorative way to light up your house and garden in the deep, dark depth of night-time without costing you money. 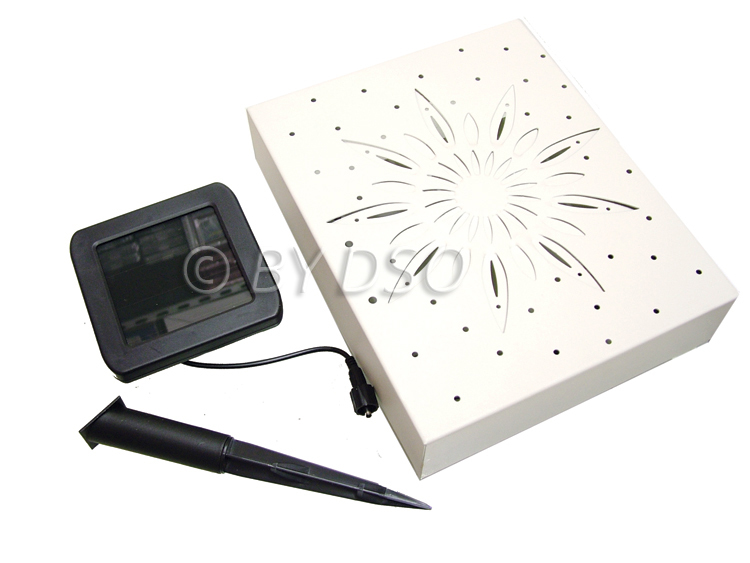 Brighten up patios, decking, driveways and flowerbeds with this solar-powered wall decoration. Made from metal construction, the auto sensor detects when night-time arrives automatically switching on the LED's to brighten its surroundings. Easy assembly and installation, it comes with a 4m (approx.) cable for the solar panel so that you can put it in the prime spot to get as much sun-power as possible.